Market Update for November 2015 - What's ahead? 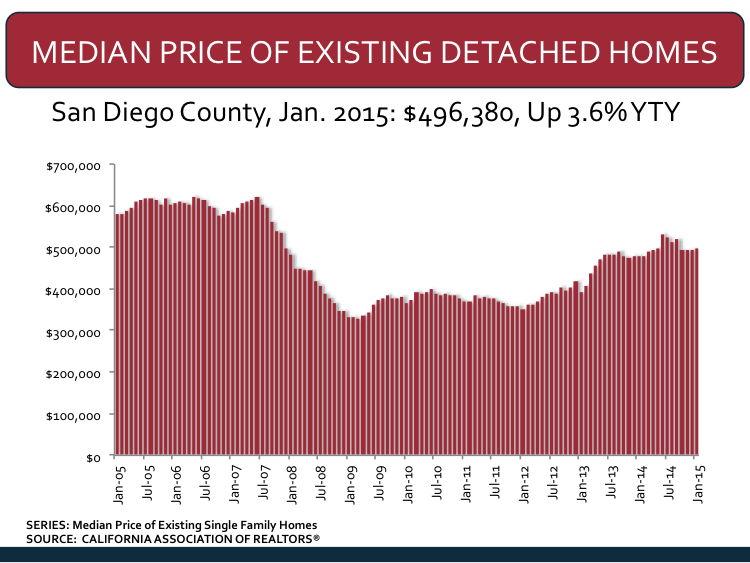 Real Estate Market Update November 2015 - What Ahead? Okay, so you can get plenty of statistics from numerous places to give you way too much conflicting information about almost any subject, Real Estate being one of them. So, I will try to keep this quick and easy. Here we go. CAR forecast sees an increase in existing home sales of 6.3% next year and a CA median home price forecast of a 3.2% increase, which is the slowest in 5 years. Where have we been, gone and come back to? 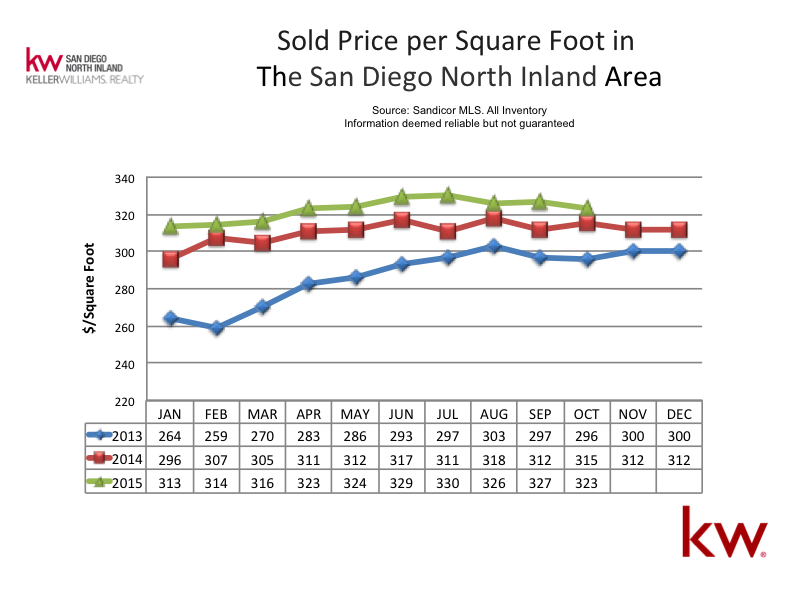 Quick look at the median price from the peak in Qtr1 2007 to bottom in Qtr2 2009 and now almost back to top with a plateau in Qtr3 2015 of $539,000. Trending has seasonal characteristics but averages are year over year up, typical and similar. That is your market update for the month of November 2015. Have a super awesome Thanksgiving holiday week and keep going strong San Diego!